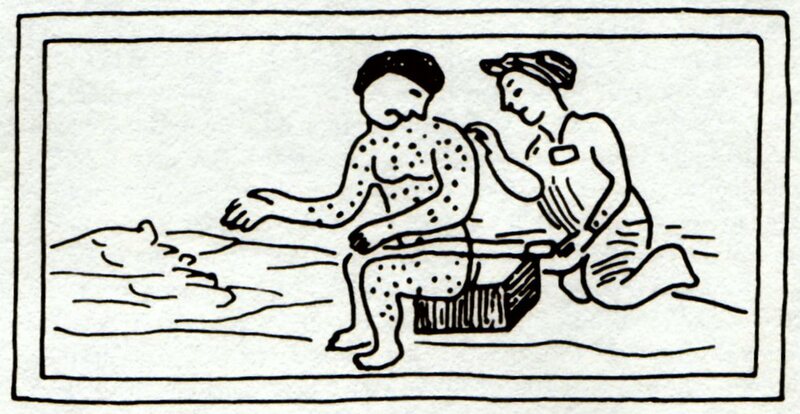 Ah the measles, a childhood illness that most of my generation has never experienced; due in large part to the success of measles vaccination. A lot of people think the measles isn’t that big of a deal, its just some combination of a rash and fever that goes away in due time. While this is true in most people, in about 1 in 1,000 cases the infection becomes systemic and moves to the brain resulting in death, in what is known as measles encephalitis. The measles vaccination resolved this issue but also had an unexpected secondary effect. When the measles vaccine was first introduced in America in the 1960s, scientists were perplexed why childhood deaths from all infectious diseases plummeted along w/ the measles; even deaths from diseases like pneumonia and diarrhea were cut in half. An obvious assumption was the drop in childhood deaths was just a result of our advances in modern medicine. While there is undoubtedly truth in the assertion that modern medicine was advancing rapidly in the mid-20th century, whenever the measles vaccine was introduced to Europe a few years later, and even now as its being introduced to third world countries, the same phenomena has been observed. Places that have the measles vaccine see a steep decline in deaths from all other childhood diseases. So whats going on? Michael Mina, a postdoc in biology at Princeton University and a medical student at Emory University, and his colleagues think they may now have an explanation. The measles virus predisposes children to all other infectious disease for a few years after having the virus. When a person becomes infected with the measles their immune system becomes suppressed (this occurs with most viruses), but measles takes this suppression to a whole new level because it also erases immune protection to other diseases. Essentially after you contract the measles, it causes your immune system to undergo a sort of amnesia. This is an issue because the immune system operates off of memory. Typically when you get a virus like influenza or the chicken pox, you initially get sick, but your immune system figures out how to fight the disease and going forward immune memory inoculates you from that strain of influenza or the chicken pox. But if you get the measles, when your immune system comes back it has forgotten what it once new. Measles erases the immune system memory of how to fight diseases, and makes you susceptible to diseases you already developed immunity too. So after measles infection, the immune system essentially has to start all over again, from square 1. It’s this unique phenomena about the measles which makes measles vaccinations so important and effective at reducing childhood deaths from all other illnesses. You can read more about this study which was recently published in the journal Science. Fun Science FRIEDay - Virus be good! Fun Science FRIEDay - Fasting Fights Cancer? The Holy Grail of the portable hardware-hacking lab: A cordless soldering iron that actually works. Kersey Sturdivant, you have a gift for explaining medical/scientific research in an intelligible way for those without a scientific background. This article helps me understand the research without insulting my intelligence or becoming esoteric. And it is accurate. Keep up the good work. I look forward to seeing more of your articles. Mary, thank you for your kind words, and I am glad you enjoyed the article!